An aggressive Raleigh DWI lawyer focusing on wake county driving while intoxicated criminal cases at an affordable rate. Contact DWI Attorney Wiley Nickel for free consultation at 919-585-1486. Defending a North Carolina DWI case is a complex process. Your journey begins when you hire a local Raleigh DWI Lawyer. North Carolina DWI lawyers Wiley Nickel & Kristi Haddock are experienced Wake County DWI lawyers and have knowledge of both criminal and civil law. At The Law Offices of Wiley Nickel, located in Cary, we focus on Driving While Impaired (DWI), misdemeanor and felony criminal charges, traffic tickets, and DMV hearings. Mr. Nickel and Ms. Haddock will work tirelessly on your behalf and make themselves personally available to answer questions when you need them – evenings, weekends, and holidays. Both attorneys can be reached by phone at 919-585-1486 and by email at wiley@wileynickel.com and kristi@wileynickel.com. We know how stressful this ordeal is to you and will be engaged in every step of the process to ease your mind. Mr. Nickel & Ms. Haddock will be there to guide you from start to finish. If you’re reading this material, you or someone you care about has had a long night in Wake County, North Carolina. On the way home from dinner or an evening out, you were stopped by police or came upon a DWI checkpoint. You may have had a few drinks, but felt fine to drive. Of course, you would never have driven if you thought for a moment you were unsafe. You are a responsible person who does not take chances. Nevertheless, life circumstances can change pretty quickly, and you now find yourself facing a DWI arrest. You still cannot believe this is actually happening. There are many emotions and fears coming into play. Your mind may be racing. Try not to worry. 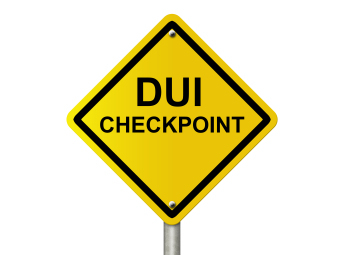 Defending a DWI is a process and it will take time to work through the various stages. That’s where our firm can help. We can answer your initial questions and explain what happens next. Regardless of the reason you were initially stopped by police, everything changes once the officer detects any alcohol on your breath. At that point, the focus shifts to a DWI investigation and a DWI arrest. First, you will be asked a series of questions while gathering requested documents such as your driver’s license, vehicle registration, and insurance cards. These are “divided attention” tasks. Next, you will be asked to step out of your car and perform “Field Sobriety Tests” on the side of the road. The Standardized Field Sobriety Tests (SFSTs) include the Horizontal Gaze Nystagmus (HGN), Walk and Turn (WAT), and One Leg Stand (OLS). These sanctioned tests, even if properly administered, are difficult to successfully perform under the best of conditions and without the anxiety of being investigated by police. Even though you may feel like you did well, almost everyone “fails” and gets arrested. You have something of a choice on whether to attempt to comply, but the outcome is usually the same regardless of your good intentions. If you submit to testing, you will most probably fail and be arrested. If you decline testing, you absolutely will be arrested. You get the idea here. Either way, once the investigation starts, you can plan on going to jail. What To Do When Released? The morning after you get out, the first thing you need to do is to consult with an experienced Raleigh DWI attorney. There are a lot of lawyers who aggressively market for DWI cases. Over the next few days, you’re going to receive a significant amount of unsolicited mail from lawyers trying to convince you to hire them. Friends and co-workers will typically want to help and will make suggestions. Almost everyone seems to “know a good lawyer” and how a DWI arrest is supposed to go. We respectfully suggest you do your own research before deciding. The lawyer you ultimately retain can make a real difference in the outcome of your case. Check out their experience and credentials. You may even want to meet and interview several attorneys. Then, after you have completed a thorough review, you are in a position to make your best choice of who will handle your case. Go with the lawyer who gives you the most confidence and makes you the most comfortable. You haven’t slept very much because of the stress of going to jail. You think about your driving record and what may even happen with your job. You worry about everything. Is a DWI a felony or a misdemeanor? Will a conviction result in a permanent criminal record? What is this going to cost? What are the court costs and fines? What is this arrest going to do to my automobile insurance rates? How much does an experienced DWI lawyer charge? These are all good questions, and we can help get you answers to all of them. The first thing almost every client wants to know is “when can I drive again?” After a DWI arrest, you may be told before being released that your driving privilege has been suspended for the next thirty (30) days. In many cases, we can help you request driving privileges after the 10th day. We will assist you during that period in gathering all necessary information and then prepare documents for a Limited Driving Privilege. On the eleventh (11th) day after your arrest, we will appear in front of a district court judge and request that your privilege be signed. We then file it with the court, pay your $100 fee, and get you back on the road. Thirty (30) days from your arrest date, you will be able to get your original license returned after payment of another $100 fee to the court. We explain this procedure in detail in other sections of this website. Of course, you can call us, and we will further explain what needs to be done. What is the DWI Court Process? Wake County DWI cases generally take 6-9 months to be resolved. You will have to be present at all scheduled court dates. Your first court date and time is shown on the arrest documents given to you when you're released from jail. On that first date, we will speak with the arresting officer to learn what was recorded about the circumstances of your arrest, we will also examine all documents in your file and request a second court date. In the meantime, we will file several standard motions and request any video evidence that may be available in your case. There will be several more court dates while we continue to collect all of the State’s evidence, including the arrest video. Once we have all the evidence and have carefully reviewed it, we will then be in a position to go over your options so that you can decide what is best for you. We will answer all of your questions, review the pros and cons of your case, and make recommendations. Then, you will decide how you want to proceed. We never pressure our clients on any course of action. Rather, we advise and suggest options. It is your case and your decision. We always remember that we work for you. Is a DWI Case Worth Fighting? Absolutely. A DWI arrest is a misdemeanor, not a felony. But, if you are convicted or plead guilty, a DWI conviction results in a permanent criminal record that cannot be expunged as of a new law that went into effect in December of 2015. As with all criminal charges, a DWI should be thoroughly investigated and aggressively defended. The burden of proof is on the State of North Carolina, and the prosecution must prove all elements “beyond a reasonable doubt.” North Carolina has some of the toughest DWI laws in the country, subject to few legal, rather than factual, defenses. You are beginning a very stressful time in your life. That’s why hiring an experienced DWI attorney is critical. We know and understand what is involved and how this process works. We can explain what to expect and answer the questions that are waking you up at night. Then, we can collect all of the State’s evidence and then sit down and review a strategy for your case. If you decide to fight the charges, we will get ready for trial. If you decide to plea, we will prepare available mitigating factors with the goal of minimizing your ultimate punishment level and sentence. The choice of how to proceed is always yours. Being charged is NOT the same as being found guilty. Because a DWI is a criminal matter, you are innocent until proven guilty. The State must prove each element of the DWI charge and must present evidence that convicts “beyond a reasonable doubt.” That is a significant standard for the police to meet in order to prove their case against you. If you hire us, we will conduct a thorough “top to bottom” review of your case and all of the State’s evidence. We begin with “reasonable suspicion” and the DWI investigation protocol under NHTSA guidelines. We then proceed to determine if there was sufficient “probable cause” to arrest and if the police followed all mandates with regards to implied consent rights and administration of breath or blood testing. After we have completed our review, we will discuss your options and give you our recommendations. Then, after we answer your questions and address your concerns, you decide how you want to go forward with your case. Plea or trial is always your decision after our counsel. Call The Law Offices of Wiley Nickel, PLLC for initial answers and guidance. You can reach us at our office in Cary, NC at 919-585-1486. We can speak over the phone or schedule a free in office consultation. What should I do when I’m pulled over for a DWI/DUI in Raleigh (Wake County) North Carolina? You have a constitutional right to remain silent. You don’t have to answer any questions that the officer asks you about drinking or any of your other activities that evening. Any statements you make to the police will be used against you in court. Be very polite. Emotional behavior is a sign of Impairment that can be used against you in court. Additionally the police officer you are speaking with is a hard-working professional who deserves your respect. He/She has a ton of discretion and can make your life much more difficult if you are rude or belligerent. Have all of your paperwork ready as soon as the police officer arrives. Fumbling for your paperwork is seen by the police as a sign of intoxication. Do I need to perform the field sobriety tests when I’m pulled over for Drinking and Driving in North Carolina? You do not have to perform field sobriety tests. I advise against it as you can still be arrested no matter how well you perform. Any mistakes you make on the tests (called Standardized Field Sobriety Tests) will be used against you in court. These tests can also be used to establish “Probable Cause” to arrest you. Frankly these tests are difficult to perform when relaxed and sober in ideal conditions. You would be performing them under a great deal of stress in less than ideal conditions by the side of the road. Can I refuse to "blow" for the first roadside alcohol test when I’m stopped for a Driving While Impaired (DWI/DUI) in North Carolina? You are under no obligation to perform the first roadside test for alcohol. You are free to refuse it just as you are free to refuse the standard field sobriety tests by the side of the road. The result of that roadside alcohol test can and will be used against you to establish Probable Cause for your arrest and to show that you had been drinking. The specific reading for that device is not admissible just whether you had alcohol in your system. Can I refuse to “blow” at the police station when I’m arrested for a North Carolina DWI/DUI? You can refuse the breath test in North Carolina DWI arrests. However, there are some serious consequences for that decision. Even if you refuse to blow the second time the officer can still demand a blood test. The police will often do that if you've been in an accident or someone has been hurt. Without an alcohol reading it is harder for the District Attorney to prove the case against you. However, the court can consider your refusal as an adverse factor in deciding your guilt. If you refuse to blow at the station (2nd time) the DMV will suspend your driver’s license for one full year for refusing the breath test. You will not be eligible for a “limited driving privilege” to drive to and from work for the first six months of that suspension. So even if you are completely innocent and receive a not guilty verdict your license will still be suspended for a year. If you're guilty of DWI that will be an additional year suspension. When should I call a friend after I'm arrested? You should call a friend or family member as soon as possible. It is in your best interest to have your own witnesses who can see you at the station and be able to testify about your visible level of sobriety. You generally only have half an hour to get them to the station so it's important that they arrive quickly to observe your condition. Can the police charge me with a DWI when they found me very far away from my vehicle? The police can charge anyone with DWI even if they were not around a parked vehicle. They MUST prove that person was driving to convict them of that offense. They would need witnesses or some sort of evidence to prove that person was driving. Usually they would have a statement by the defendant admitting to the driving. These cases are generally difficult for the state to prove and having a good attorney is very important in cases where the police did not observe anyone driving the vehicle. After I'm cited for a North Carolina DWI/DUI in the Raleigh/Durham/Chapel Hill area what should I do the next day? You should set up an appointment with a Raleigh NC DWI/DUI lawyer like myself as soon as possible. I'm a former prosecutor and know how the process works from the law enforcement side. Your trail of evidence will grow cold if you wait to contact a lawyer. The sooner I can begin to analyze your case and start talking to potential witnesses the better. I will answer your questions and give you a free consultation about your case. I know you will have a lot of questions and concerns regarding jail, fines, NC insurance points, DMV points and your ability to stay on the road. You should have those questions answered as soon as possible for your own peace of mind. The possibility of a NC limited driving privilege is likely available to you but you need to move fast on these matters after an arrest for DUI/DWI. We can help with every step of this process and get you back on the road. What are the Costs for a Basic North Carolina DWI? $100 processing fee for pre-trial limited driving privilege (G.S. 20-20.2). This lets you drive from day 11 to day 30 after you are charged with a DWI. $100 for return of license civilly revoked (G.S. 20-16.5(j)). This is the fee to get your license back after day 30. Your license is returned and you have full driving privileges until your case is finished. $1,500 - $5,000 in attorney fees. 24 hours of community service. Just insert your own value on what 24 hours of your time is worth. Assuming the lowest punishment for a Level 5 offender. $250 Community Service Fee (G.S. 143B-708(c)). This fee can sometimes be waived if you do your community service before sentencing. $100 for a substance abuse assesment. Here's a link to one provider. $160 for alcohol treatment as a result of the assesment. Assuming 16 hours as the lowest. Again insert your own value for 16 hours of your time. $100 license restoration fee (G.S. 20-7(i1)). $2,000 to $4,000 in increased insurance premiums over the next three years. For most people you're easily looking at $5,000 to $10,000 as a result of a DWI conviction. These costs are also on the low end and highlight why you want to hire an aggressive DWI attorney who will fight to have your case dismissed and help you avoid many of these costs. In all Raleigh area DWI/DUI cases we will tell you your costs up front. Generally our fees range from $1,500 to $2,500 for a DWI in Wake County. Aside from the costs to hire my law firm there will be a range of DMV costs and court cost - we'll lay them all out for you based on your record and situation. We work with both in state and out of state clients. We offer payment plans, take personal checks and can accept payment over the phone with Visa or MasterCard. Call 1 (919) 585-1486 to make an appointment to speak with a Cary DWI attorney, or stop by the office during regular business hours. You can also reach us directly via e-mail at wiley@wileynickel.com. We will schedule an appointment at any time based on your schedule. We serve Wake County, North Carolina including Raleigh, Cary, Morrisville, Apex, Garner, Fuquay Varina and other surrounding cities in the Research Triangle. We you need an aggressive Raleigh DWI Attorney call The Law Offices of Wiley Nickel, PLLC.